There's a lot of information out there about juicing, Some good and some bad, but as a lover of juices and smoothies I wanted to share a beginners guide to juicing. 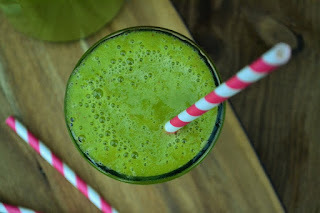 As I only use the Froothie Optimum juicers, which I think are rather fab, I will only talk about my experiences with them. I've had cheaper machines in the past and they were useless to use and useless to clean. I'll also be introducing you to a revolution in juicing called the JUlaVie (known as the Juisir during development), which is a new machine arriving on these shores soon which is a no-clean machine. I know, right! There's a lot of hype about the JUlaVIE just now. It's a bit of a sensation. Yes definitely. They will help you top up your ten a day (yes scientists now say we should be aiming for ten portions of fruit and veg a day and not five) and are great for adding extra nutrients and antioxidants to your diet. 2. I buy a bottle of juice when I buy my lunchtime sandwich. Is it good for me? Well it's better than fizzy juice, but sometimes not much better. Often they can have a lot of sugar, additives and preservatives in them. 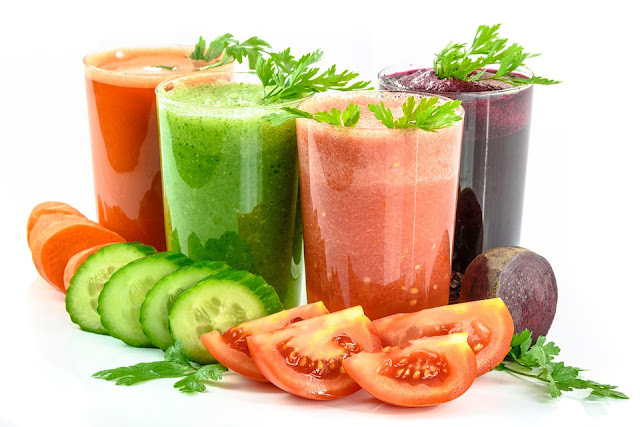 It's much better to make your own juice or if you are out and about stop at a juice bar, where they juice the fruit and vegetables in front of you. 3. Aren't fresh juices full of sugar too? 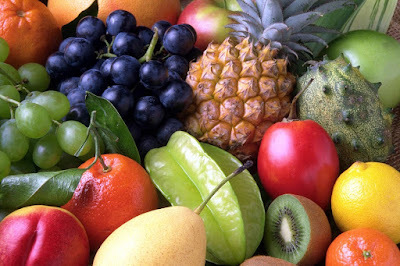 Fruit certainly is, although it will always be a better option than processed foods full of sugar. The secret is to balance your smoothies and juices with a mixture of fruit and vegetables. The more vegetables the better. 4. 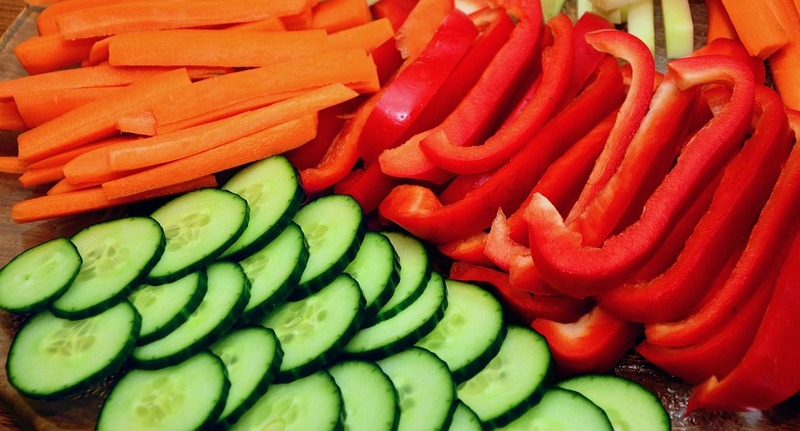 Isn't eating whole veg better for you? Of course eating fresh vegetables is a healthy option for your diet, but juicing supplements this and provides you with lots of vitamins and minerals. 5. But will I get any fibre from fresh juice? Fibre is important to help food move through your digestive system. When you blend juice in a blender the fibre is still there in the pulp of the juice, but when you juice you only get soluble fibre. Lets face it juice doesn't need to be broken down in your body anyway it's a liquid and easily digested, so that's that covered. Now we've gotten that out the way I can give you some juicing tips to get you started. Apples, blackberries, blackcurrants, blueberries, cherries, cranberries, grapes, grapefruit, kiwi, lemon, lime, melon, oranges, passion fruit, pears, pineapple, raspberries, starfruit, strawberries and watermelon. Asparagus, beetroot (not pickled, ugh), broccoli, carrots, celery, courgette, cucumber, fennel, fresh ginger, kale, lettuce, onion, parsnip, peas, peppers, spinach, squash, sweet potato, tomatoes and watercress. I may have missed some fruit and vegetables out of that list, but it's a good place to start and I hope it helps. Now I promised you I would tell you more about the Juisir which is hitting these shores soon. You can juice pretty much any fruit or vegetable, but can I start by telling you what YOU CAN'T OR SHOULDN'T JUICE. You can't juice bananas, avocado, figs. You just won't get any juice out of them. Stick to blending these. You might want to skip juicing leeks, turnip and aubergine. They don't taste good, seriously! You probably won't get much juice out of these fruits unless you catch them at the right moment. Peaches, nectarines and mangoes. Also rhubarb will be tough on your juicer and yield little juice. Update: I've been told the Juisir can juice banana and mango as it crushes it. 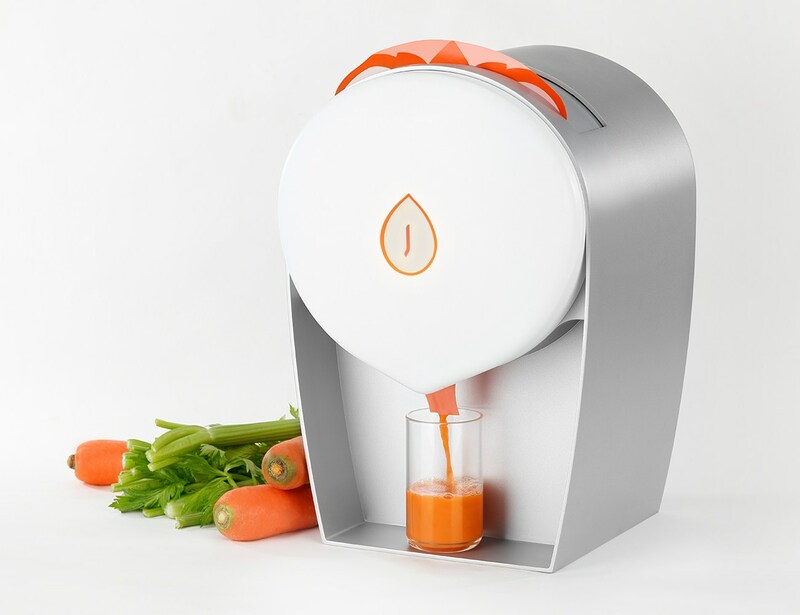 The JUlaVIE is a new concept in juicing. You put the fruit and vegetables in a bag (reusable or eco-friendly, you can choose which). Pop the bag in the Juisir and hit the button. The Juisir will now crush the fruit and vegetables with eight tonnes of force, the force of two adult elephants (yes that's why the bags have cute elephants on them). 90 seconds later you have freshly pressed juice and not need to take the juicer apart and clean it with a scrubbing brush. No cleaning! For £579 (use the early bird code soon (EARLYBIRD100) to get another £100 off this price. For this you will receive your JUlaVIE and 1 reusable bag with 30 cotton refills or 60 disposable bags (you can buy more from the Froothie website) and a standard 2 year warranty. I admit it's a pricey machine, but if it's one you will use everyday, you'd be looking at paying between £300 and £500 for a good quality cold pressing juicer that will work and last well. It depends if you want to spend time cleaning or just juice and go. 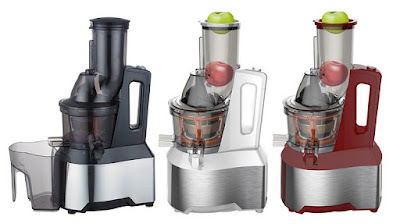 If you have time in the mornings, don't mind a bit of cleaning and just don't have the budget for a Juisir, then I would recommend the Optimum 600 whole fruit juicer, which is on sale at the moment down from £329 to £249. I have this one and it's great and easy to take apart. You can just add whole fruit and veg (well within reason, obviously a melon would need to be cut into chunks). I have to admit though I can't wait to get my hands on the JUlaVIE. OFFER: If you use my code when ordering from the Froothie website, you will get free delivery on anything you order. The delivery price will be credited back to your card. Just add 1405 free ambassador delivery to the comment box when you order. Disclosure: I love Froothie products and approached them to be an ambassador for them. I wouldn't recommend the machines if I didn't love them. Froothie do not require me to write a positive review and any opinions expressed are my own. The Juisir certainly looks amazing and NO Cleaning is fantastic as it's the one thing that puts me off using my current juicer. I know I think that's what puts so many people off. I love the sound of the Jusir! Like most people, cleaning my juicer puts me off using it more often - so this new type with bags sounds great. I can't wait to try it. I tend to use my blender as it is quicker to clean. I need to buy a juicer so I can say money on buying expensive juices so much! It's definitely best to make your own, they are healthier and much fresher. I'm yearning for the Juisir because I adore carrot juice but simply can't be bothered with the massive clean up of traditional juicers afterwards! Yes, I know what you mean and carrot juice is rather good. I have a Vitamix and it does a great job of turing things into juice. Not near as good as an actual juicer. This is a great way to get in your daily quota....and delicious too. Yes, it is a great way to get your five or ten as they are now saying we should eat a day. Great introductory guide to juicing, lovely! I love juicing and have never heard of the Juisir brand! Looks fun and easy! The 'no cleaning' aspect is intriguing and great!! Oh yes that is definitely the best bit, although I love the cute elephant bags. Yes it puts me off too although modern juicers are easier to clean than their predecessors. Great info on juicing and would love to get my hands on that juicer - sounds perfect! Yes, you have to use a gadget a lotvgor itvto gain worktop space. I always think juices and smoothies are as well as rather than instead ofs and this keeps me right. I am very much looking forward to trying out the Juisir! It sounds absolutely revolutionary! Yes me too Kellie. Ivuse them to top up our fruit and veg consumption. Great intro to juicing, and WOW - a juicer with no cleanup?! Sign me up! Thanks and it will be out soon Sarah. Use the link above. I don't have a juicer, and it's largely because I don't want yet another thing to have to clean! (that, and the bench space...). Thanks for the great introduction to juicing. That's what's so good about the Juisir. Saves so much time and effort.